Our "8 packs for the price of 6" organic minced rose veal from rare-breed organic free range Veal Stirks. This makes the best homemade burgers, meatballs, bolognaise, cottage pie, chilli and much much more. 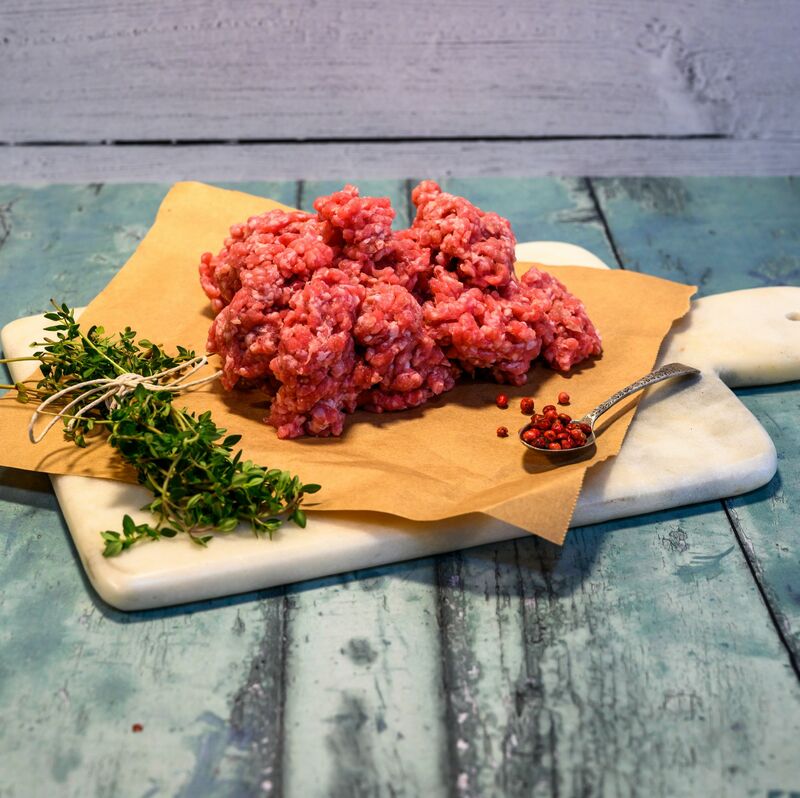 An inexpensive meal can easily be created with our organic minced Rose Veal. Why not even try organic tortillas? A great freezer filler in a new 500g size.